Cellulite is never a welcome sight for anyone to discover. Most studies report that somewhere between 80 percent and 90 percent of all women have cellulite somewhere on their body. This percentage is even higher for women over 35 or who have been pregnant, and the number of men reporting complaints of cellulite is on the rise as well. Eliminating cellulite is no easy task, and the lower leg is one of the most troublesome areas to attack. Fortunately, there are a few simple remedies that often produce positive results. Most people know that cellulite is fat, but it is more specific than just that. While it usually is fat, cellulite is more specifically any material that is trapped in the connective tissue just below the skin. In the case of it being another substance, it is still often fat that is causing the material to be pushed up against the skin in this manner. But that does not mean that fat is the only cause of cellulite. Hormonal changes of any kind can increase the risk of cellulite. Puberty, menopause and pregnancy can all alter the levels of hormones such as estrogen in the body, which can increase fat storage in certain parts of the body. Poor circulation, dehydration, poor diet and a sedentary lifestyle are all other possible contributors to cellulite production. Exercise is the primary defense against cellulite in any part of the body. In the lower leg, however, while still necessary, exercise alone may not be enough. Begin by working the calf muscles more. 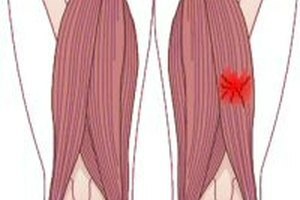 There are many calf-focused machines at most gyms and even specialized shoes that target calf exercise, but working them from home can be just as effective. Locate a step or elevated platform of any kind, preferably with a handrail for balance. Stand on the edge of the step with your heels hanging off the back edge. With only your toes on the step (use the rail for balance), let your heels descend down below the top of the step, and then push all the way back up. You should be all the way up on your toes when you finish. Repeat this 20 times. Once you are more comfortable, try lifting one leg and completing the exercise on only one foot. Move in circular motion to focus on all the muscles around the ankle. This will speed the process. Running and walking are also important. These exercises burn fat and raise the metabolism, both of which will fight cellulite. Ankle weights can be effective in assisting in strengthening the lower leg areas. 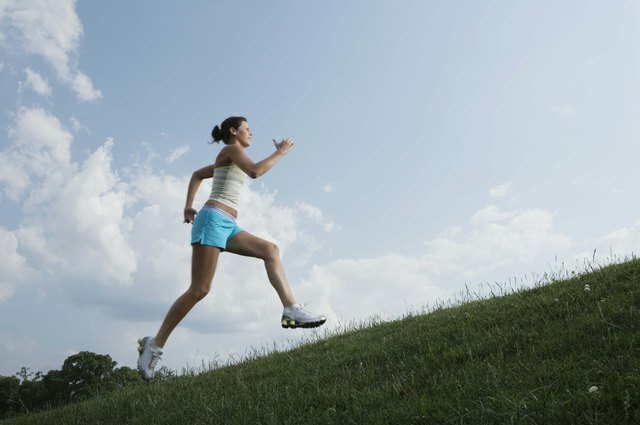 Try to focus on pushing off with your toes while running. Yoga and pilates classes are also both very useful in eliminating cellulite from all over the body. A healthy, low-fat diet effectively battles cellulite. Try adding herbal supplements like Guggulu, Eclipta, Garcinia or Indian gooseberry to your diet. Rubbing the area with cellulite creams may be effective, but there are some home remedies that may work just as well. Caffeine naturally fights cellulite, and instant coffee can actually work wonders on trouble areas. Put a few handfuls in a bowl, and slowly rub the grounds over the cellulite while in a warm shower. Use circular motions, and rinse away after several minutes. Some results should be apparent immediately. Special massage units are another popular option, but again, the same result can often be achieved at home. Massage a soft bristle brush over the area for about five to 10 minutes each day. This should help to distribute the collected material away from the skin. Since poor circulation may be a factor, make sure that shoes and pants are fitted properly. Wearing clothing that is too tight and constricting can decrease blood flow. Peter H. Crawford has been writing professionally since 2004. After studying journalism and English at The Ohio State University, he immediately began composing and reviewing for various publications about dining, nightlife, travel and music. His work has appeared in literature from Chicago to Los Angeles, and all over the nation.